Teresa O, MD, MArch FACS, specializes in the diagnosis and treatment of hemangiomas and vascular lesions in all ages. 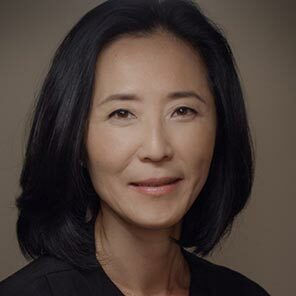 She is a pediatric and adult facial plastic surgeon who works closely with Dr. Waner in the medical and surgical management of vascular lesions. She has dual training in facial nerve paralysis and reanimation and is also Co-Director of the Facial Nerve Center at Lenox Hill Hospital. Dr. O is board certified in Otolaryngology-Head and Neck Surgery. Dr. O matriculated at Cornell University as an architecture student (B.Arch, M.Arch). She later graduated from Boston University Medical School. She completed a residency in Head and Neck Surgery at the New York Eye, and Ear Infirmary. She then received fellowship training with Dr. Waner in vascular anomalies. After seeing many patients with the devastating sequelae of facial paralysis, Dr. O pursued further training in facial nerve reanimation with Drs. Hadlock and Cheney at the Massachusetts Eye, and Ear Infirmary in Boston. Currently, she has restricted her practice to patients with vascular anomalies or facial paralysis. She is involved in clinical and basic science research and collaborates with labs at Stonybrook University and Brigham and Women’s Hospital. Dr. O has lectured internationally, and authored or co-authored many peer-reviewed journal articles and textbook chapters. Dr. O is a member of several major national and international medical associations.